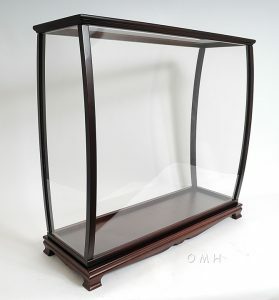 This beautiful display case was made out of hard wood and painted in dark mahogany color. 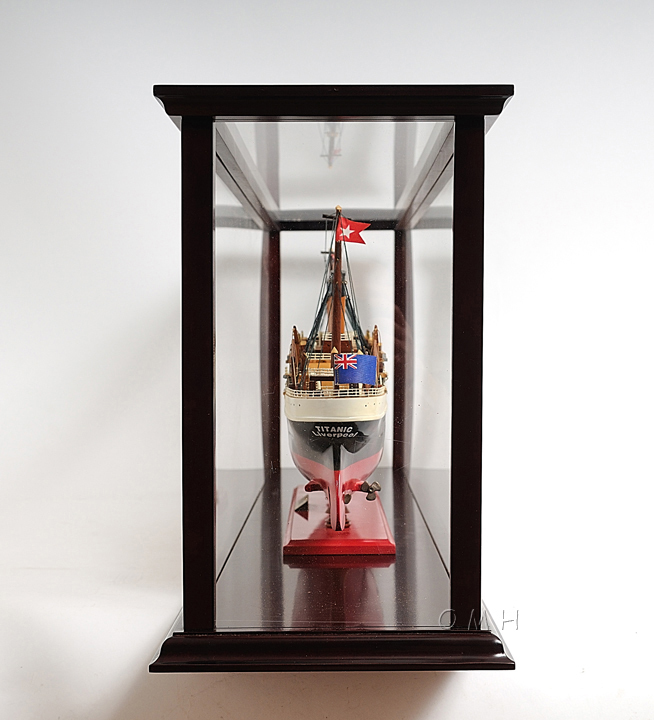 It has distinctive designs that add elegance and beauty when displayed in your home or office. 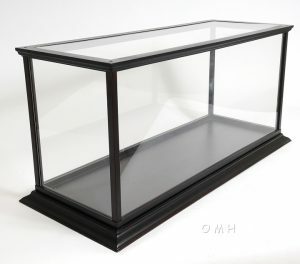 It comes with plexiglass panels on all sides. 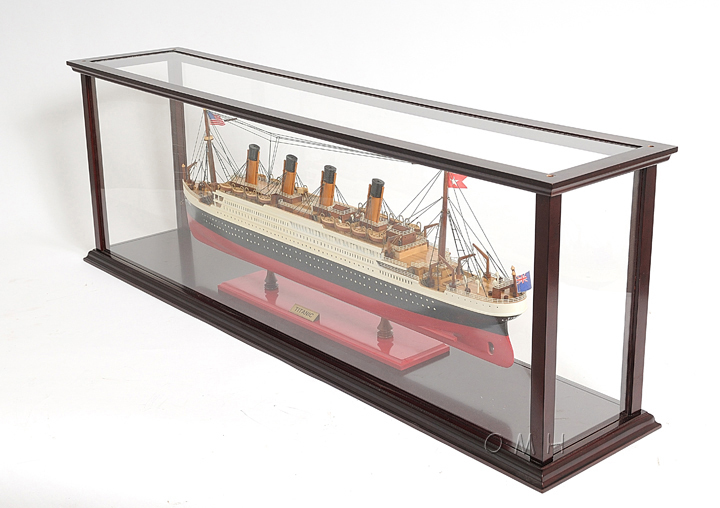 It is used to display all cruise liners such as RMS Titanic and Queen Mary up to about 40 inches long (100cm). This case is very effective when it comes to preventing dust particles as well as keeping your valuable cruise ship looking new and protected at all time. 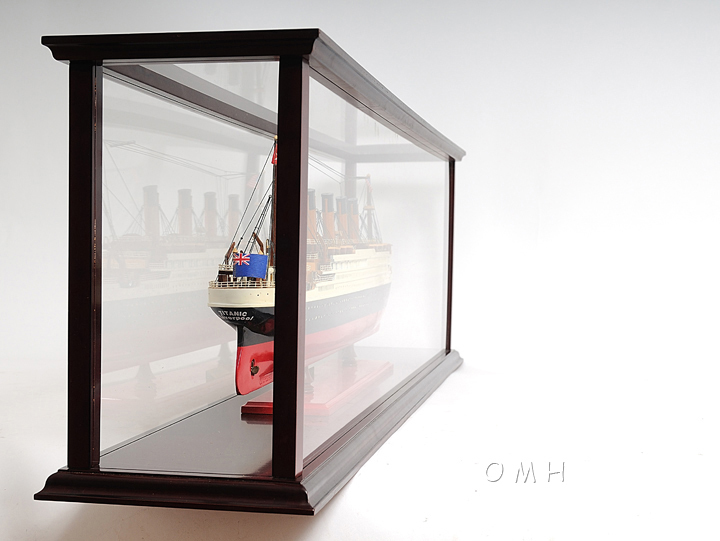 It is a must have for model ship enthusiasts or passionate collectors. 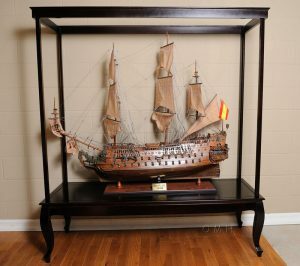 This item is shipped with the frame and plexiglass panels fold down so minor assembly is required. The maximum inside dimension is 43 x 7.5 x 13.7 inches.